In the back of The Witch in the Cherry Tree there was a recipe: ‘How to Make Gingerbread Witches’. I have very fond memories of my mum helping my siblings and me to make and decorate these when we were little, just as in this book David’s mother is helping him to make cupcakes on a rainy day. 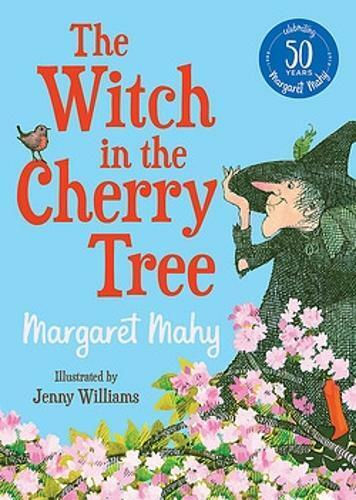 As a child, two things I absolutely adored were witches and cakes; it’s no surprise that The Witch in the Cherry Tree was my favourite picture book. Growing up, burnt cakes were affectionately referred to as ‘witch cakes’ in our home. This book was first published in 1974, and Jenny Williams’ warm illustrations are brimming with that seventies charm. It’s lovely, it’s cozy and it’s very funny. You’ll laugh at the antics of the sneaky witch as she hangs out in the garden trying very hard to get a taste of the cakes! Margaret Mahy was New Zealand’s finest writer for children, and like all of her books this one is filled with wit and magic. I love it.